ST. GEORGE — When you watch a company expand from a startup to one of the largest e-bike dealers in the country, you know it’s not just a gimmick. Make way for St. George’s own eSpokes. Since opening its doors a year ago, eSpokes has laid heavy tracks on the market of electric bicycles. eSpokes is celebrating its one year anniversary. Everything is on sale, with all bikes at least 10% off. With the widest selection of e-bikes and conventional bikes, this is the best time to buy your new bike. Unlike conventional bicycles, e-bikes have a quiet battery powered motor that, when engaged, gives the rider extra oomph with each pedal. They’re not motorcycles or mopeds; they are pedal-assist bicycles. An e-bike levels the playing field. It gives any rider the freedom to ride how, when, and where they want. 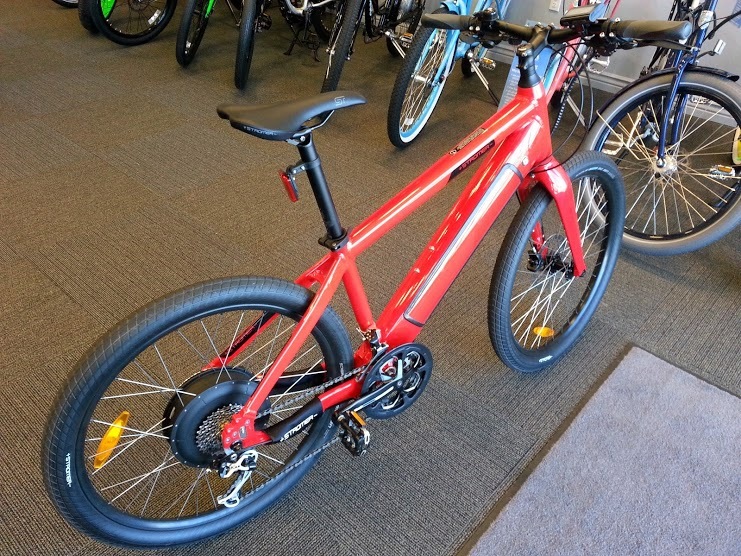 In response to their fast growth, eSpokes has recently expanded their inventory of bikes and accessories in order to provide each customer with their perfect bike. But eSpokes doesn’t simply sell the largest selection of e-bikes. 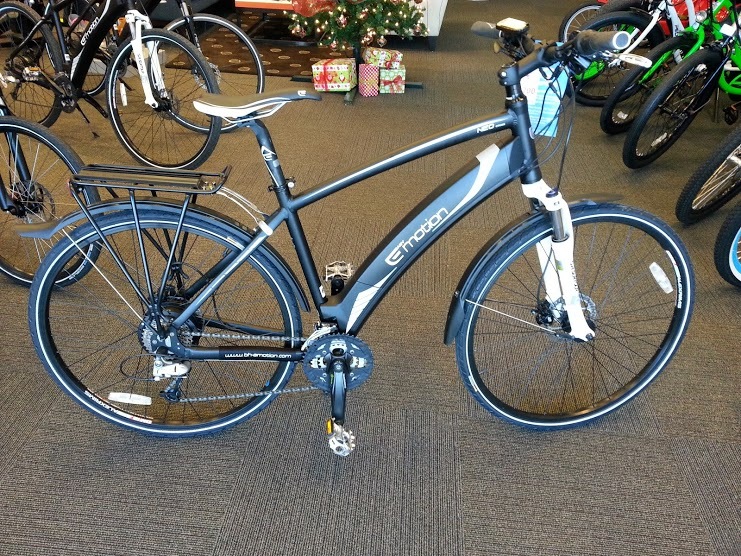 They are proud to sell the full line of Raleigh bicycles, including road, mountain, fitness, and youth bikes. Raleigh is one of the oldest and most storied brands of bikes in the world. Raleigh began building bicycles in 1890, growing to the largest bicycle company in the world by the mid 1900’s. The sales floor at eSpokes is a pageantry of bikes as specialized and unique as the distinct people who visit the store. eSpokes’ aim is to open the world of cycling to all aspiring riders. They have a bike for everyone, of all riding abilities. Families and friends in particular are coming together through e-bike riding. eSpokes is bringing together families that include every level of rider. An e-bike levels the playing field and offers riders the ability to get out and ride when it may otherwise be difficult. Scott Mickelson, an eSpokes customer and long-time cyclist, was trying to get back into cycling after an injury. He was warned by his orthopedic doctor not to pedal too hard while he was healing. “With the e-bike, I was able to work really hard, but not so hard that it hurt my leg, and ride with the same pace of my friends.” Scott was able to recover more quickly and enjoy riding with his family and friends during the recovery process. Another in the eSpokes family of customers is the Campbell family. The Campbells were always a biking family. Cindy and Steve Campbell raised six children and much of their family time was spent bike riding. Since all the kids grew up, Steve and Cindy fell away from riding. Now, after being married for over 47 years, they bought e-bikes from eSpokes and they’ve finally reconnected with their old passion. They can soar up hills, they said, and keep up with their visiting adult kids. One of the hills they cruise up that they didn’t before is the Zion Canyon Scenic Drive. 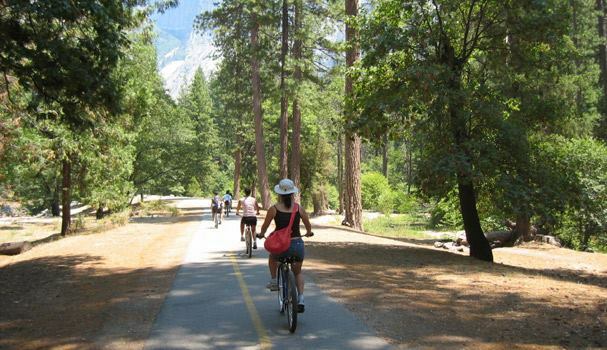 “When we go to Zion we used to put our bicycles on the bus and they would take us up the canyon and we would ride back,” Steve said, whereas now the family enjoys the ride up and down the canyon on e-bikes. “Except for elite athletes, cycling is most often a family event, a social event. Now, with our full variety of e-bikes and conventional bikes, we have a bike for every member of the family.” Rasmussen said of their new lineup. EVERYTHING ON SALE. Receive at least 10 percent off all purchases for the entire month of May. RE-BICYCLING. 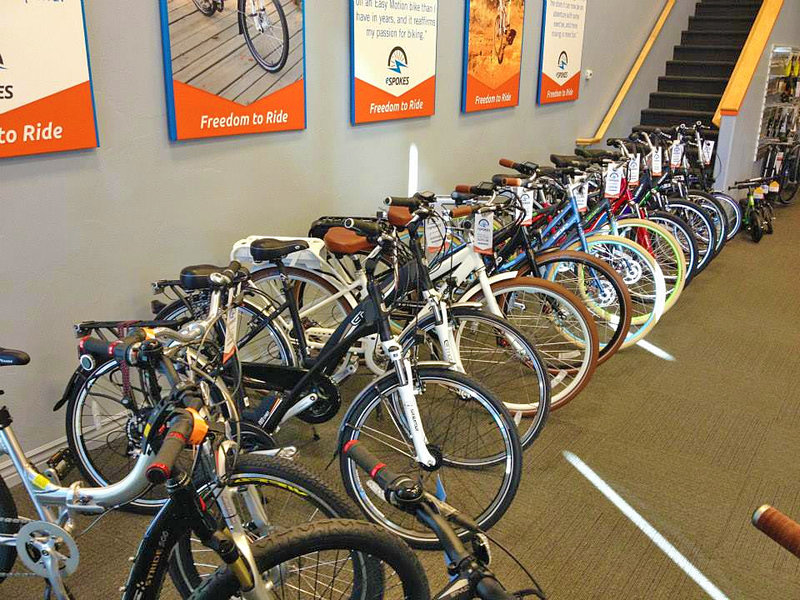 Bring in your old bike and receive an additional 5 percent off the price of a new bike (including e-bikes). All bikes received will be fixed and donated to Deseret Industries. All they ask is you bring in an adult bike for an adult bike or a youth bike for a youth bike. eSpokes will take care of the rest. Customers can combine the two above discounts, and ultimately receive 15 percent off a new bike at eSpokes. Anytime you buy a bike from eSpokes, you’ll get a year of free service and tune-ups from its in-store full-service shop.